Isabel worked with Balloon Ventures in Kenya, unleashing the talent of small-scale entrepreneurs to end poverty. 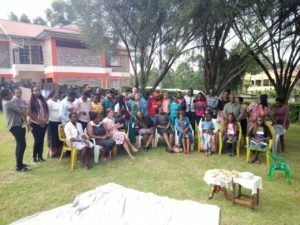 In September 2017 another Balloon Ventures programme began in Kericho, Kenya. 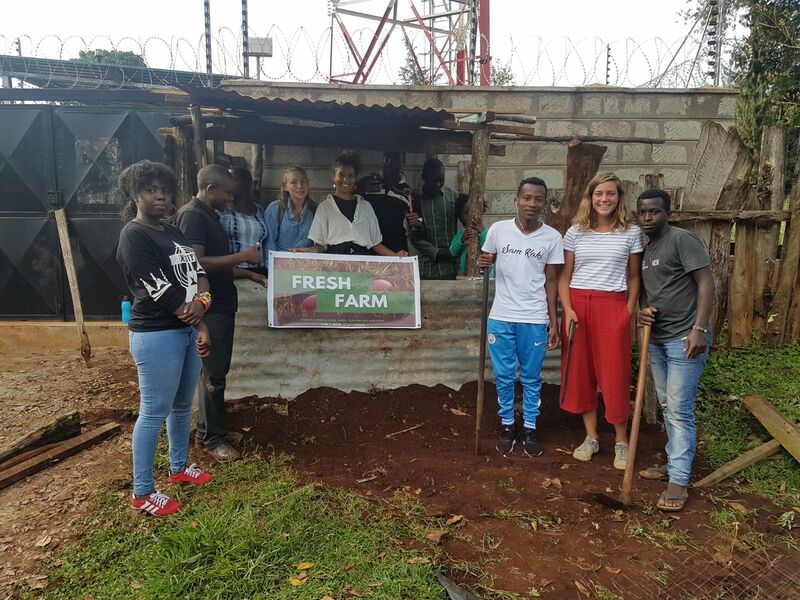 We worked in a mixed team of ten UK volunteers and ten Kenyan volunteers, to run a programme focused on the empowerment of microentrepreneurs in Kenya. After a week’s training in lean startup theory and business and financial management, we met our entrepreneurs. We worked in cross-cultural teams of three, each team working with five entrepreneurs. Their business ranged from poultry farming to tailoring to music production and property management. We acted as consultants, first assessing and analysing their businesses and the market and then testing new ideas and strategies in order to grow revenues and give the entrepreneurs a more reliable income streams. However, our most important role was teaching the entrepreneurs financial management, such as tracking cash flow, calculating profit and loss and keeping a cash-in cash-out. These skills are not taught in schools in Kenya and very few entrepreneurs have access to the types of business courses that would teach them. The end goal of the programme, besides this transfer of skills, is to give the entrepreneurs, if they so wish, the opportunity to pitch for an interest free loan of up to 50,000 Kenyan shillings to invest in their business. Day to day, our activities ranged from building stalls in the market, to applying for permits at the county government to working on financial records and preparing the entrepreneurs to pitch. The impact that Balloon has is truly sustainable and effective for a number of different reasons. Firstly, the educational aspect. We teach the entrepreneurs this start-up theory and financial management, and then put it into practice with them over the next three months. This allows time for these practices to become part of their day to day routine. Communities of Balloon alumni have now also sprung up s the programme has run for several years, so there is a support network for the entrepreneurs of advice after the volunteers leave. Furthermore, each volunteer then goes back to their home communities and performs action at home, an activity that takes the principles of Balloon and applies them their, thus multiplying and widening the impact that they have. While every volunteer knows the theory of impact that I have explained above, the most rewarding part of the experience was building close relationships with your entrepreneurs and seeing firsthand the difference that the programme makes to their lives. One of the best moments was when Ivy told me that she would never have had the confidence to grow her business without our help and motivation. Since we finished the programme, she employs three people and cares for ten children in one of Kericho’s first day care centres. Splitting our group of 20 into working groups of two and three also allowed us to make a greater impact and experience working with not only our own entrepreneurs, but contribute to other businesses as well, from constructing a farm kiosk to flyering and building networks of contacts and customers. From how to shower with only a bucket and flag down a matatu, to lean startup theory and basic accounting skills, we as volunteers all learnt a huge amount of wildly different things. Firstly, the Balloon curriculum taught us the fundamental concepts of entrepreneurship and financial and business management. We then put this theory immediately into action and began to set up, run and expand microenterprises only five days into the programme. 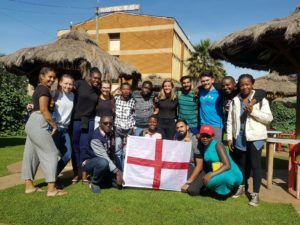 We also learnt how to work with people of different backgrounds and cultures and participated in peer support and learning days, where we shared experiences and problems and worked through them together, as well as introducing each other to interests and hobbies to bridge the cultural gap. Isabel Ayton graduated from University College London with a degree in French and Spanish. Interested in a fully-funded volunteer placement with Balloon Ventures?